Minesweeper is a single player game. 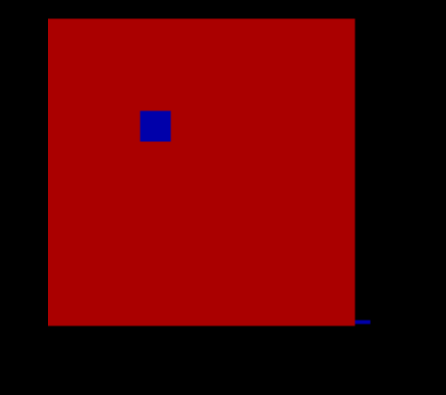 The objective of the game is to clear an abstract minefield without detonating the mine. a - Moves the cursor left. s - Moves the cursor down. w - Moves the cursor up. d - Moves the cursor right. · Made on the input/output console without the use of Graphics function. · Interface of the game is developed using textbackground color and text color. · Bombs are placed randomly each time the game starts. Index represent the position and value represent thr presence of bomb or not. After enter(e) all values are increased with 10. Placing of bomb at random places. Counting the total number of bombs in surrounding. Renders the graphics for interface. Returns the position of the cursor. 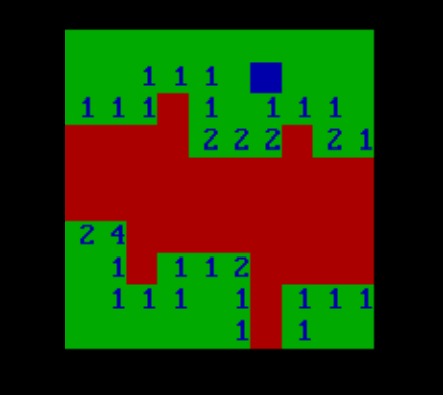 Unlocks the area until it encounters number or boundary.